One of the more interesting sales tactics of yesterday involved Chrysler’s decision to allow customers to effectively build custom vehicles right off the showroom floor. 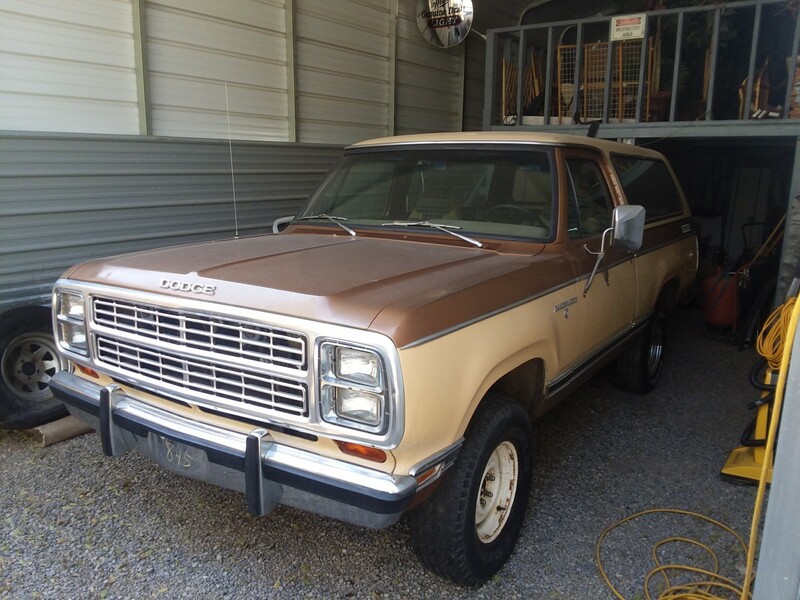 Any number of packages were available across the vehicle lineup in the 70s, including this “Top Hand” edition of the classic Ramcharger (also available on the Trail Duster). While it amounted to some cosmetic add-ons, they just ooze period cool today – even though folks like myself shake my head at the graphics and badge packages the General offers to modern truck shoppers. Find this rare Top Hand edition here on eBay with bidding over $12K and the reserve unmet. The seller says only 202 of these trucks were ever made, which is a believable claim considering how few I’ve ever seen for sale. 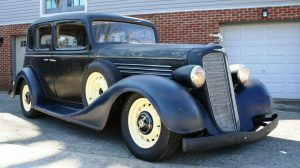 They were “built” (or more appropriately, “assembled”) by Hickey Enterprises with mostly cosmetic add-ons but also some cool gear, including a roof rack; tie-downs; chrome tow-hooks; brush guard; spoke wheels painted to match the body color; graphics kit; and a three-spoke leather steering wheel. Many owners also chose to add auxiliary driving lamps to the roll hoop. 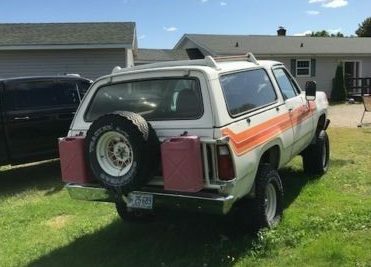 The seller of this example appears to have used the Ramcharger as intended, as the jerry cans mounted to the back tailgate would suggest. At least, I hope he’s not just driving around with those for show. My question is always this: all these years later, the scarcity factor and in-period styling make this Ramcharger vastly more appealing than any sort of dress-up kit offered in new car showrooms. But is it just nostalgia, or is there enough actual equipment here that it seems like more of a truck than any modern special edition 4×4? Wander on over to the Chevy Silverado website and you’ll see what I mean: you can currently spec your new ride as a Rally 1 / Rally 2 Edition, Midnight / Midnight 2500 HD Edition, High Desert Edition, Custom Sport HD, Realtree Edition, Special Ops Edition, Alaskan Edition, Black Out Edition, Redline Edition or Centennial Edition. That, my friends, is insane. Give me a Top Hand with an actual bull bar for attaching a winch to any day of the week. Anyone with me? I’ll buy one when they come out with the Treehugger Edition. Treehugger edition? You mean a lifted Prius? Suppose to be a California truck yet has Maine plates. I think they are just throwing out the word California to drive up the bids. that being said. Gang I would drive it!!!!! Not true. Bought mine from Roseville Chrysler Plymouth outside of Detroit in 78. I like it but bid is at 12 grand and reserve isn’t met yet. I think 12 would push it for me. I think some 1970’s stripe options were very tacky, but this I like. 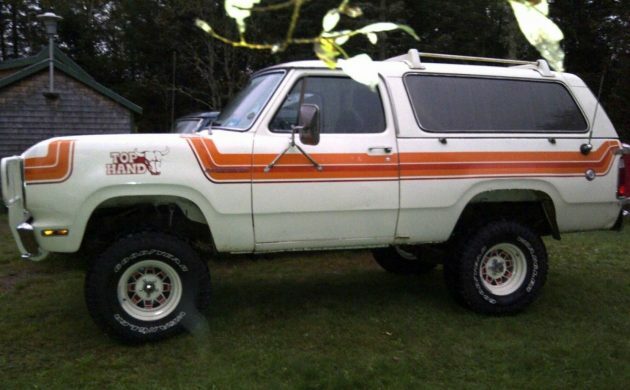 Very cool Ramcharger. 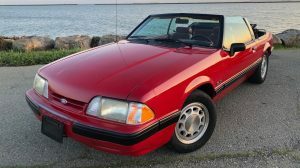 Had an ’86, but always liked these older ones more. What gives this truck the high value? Is it the special wheels or the stickers? Wow Jeff! I never knew so many special edition trucks from the General. All I see around here are Ford King Ranch trucks. Nice rig but it looks like it lost something since 1st place at the 2013 Carlisle Chrysler Nationals. And thanks for straightening the photos. I like it but anyone else notice the rust coming out on the bottom of the drivers quarter behind the door ? I have been super lucky when it comes to cool Ramcharger and Trail Duster 4×4’s! I have owned many (4 previous) and now I am down to 3 Ramchargers (’77, ’79 & ’89 models) with 440 & 360 motors. 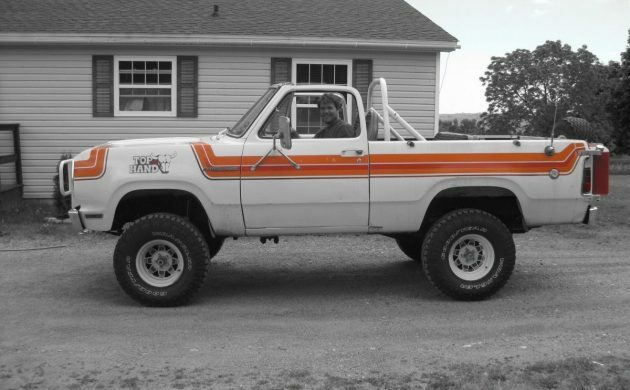 My 77 is a desert racing prepped truck, my 79 is an all original beauty and the 89 is my wife’s dailey driver. We love them all. Easy to use, off road and enjoy! Definitely something funny going on here . 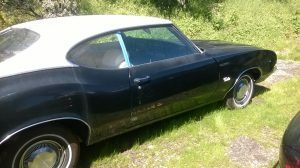 No interior pics, engine pics, nothing explained about how long they have had it ect. Has all the writings of a quick flips with phoney bidders……just saying. I had two Ramchargers. The first one was a factory order in 76. It lasted 14 years. These were tough SUVS. But they could not go through Mud like the Toyota Land Rover. Up in Canada , I never heard of this option. For its age, the rust is not unfixable. 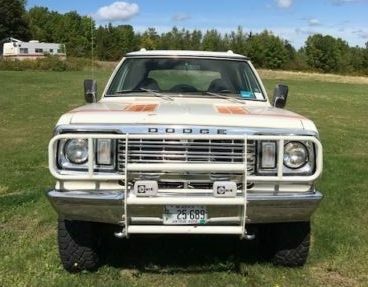 1983 I bought Ramcharger from a gentleman that was racing it in California and Mexico it was a 1978 Ramcharger it had a 440 Ray J turbo water injected B&M transmission full roll cage from front to back awesome truck it’s nice to see that there’s still some that look as nice as this one . 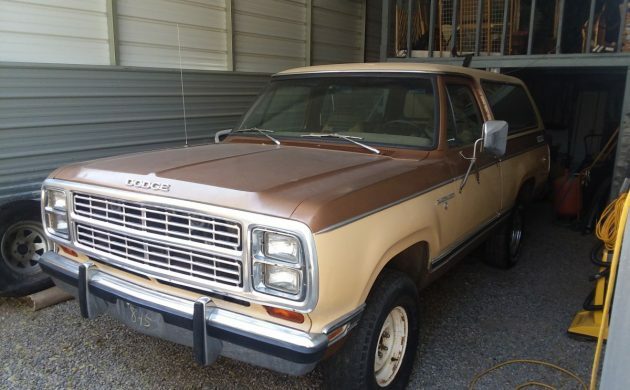 I drove a 1978Ramcharger for 9 years It never let me down once , yes it was a gas hog , but tough as nails , plowed snow, towed boats ,campers etc , 4 wheeled it and it was my daily driver . sorry its gone !! This one brings back good memories . bought a new one in 86, great truck. 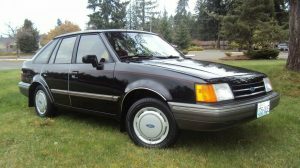 just bought an 87 to make a daily driver, didn’t realize the difference in technology from then to now. the hood weighs more than most cars today. Nice truck. However it begs the question…do folks fill those jerry cans with gas? I’m having Pinto flashbacks. Hey Jeff, what’s your issue with mounting Jerry cans? Is it only acceptable if you’re traversing the Rubicon? I say if you’ve got a vintage rig with a factory mount, then get an old USMC metal can and slap her on there. Looks awesome. And good safeguard for the single digit mpg. Notice how I said vintage, all those urban 4×4’s with those updated cans are a bit over the top. When I see a old Ramcharger all I can think of is the Chuck Norris movie ” Lone Wolf McQuade “.